1. Preheat oven to 375 F. Spray a baking pan with nonstick cooking spray, then set aside. 2. 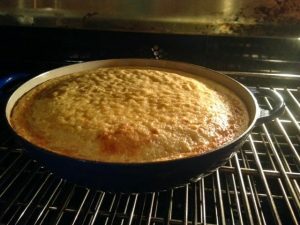 In large bowl, whisk cornmeal with flour, sugar, baking powder and salt until combined. Set aside. 3. In medium bowl, whisk milk with melted butter, honey and eggs until combined. Add milk mixture to cornmeal mixture, and use spatula or wooden spoon to stir until just combined. 4. Transfer batter to prepared baking pan and bake for 30 minutes, or until golden brown. 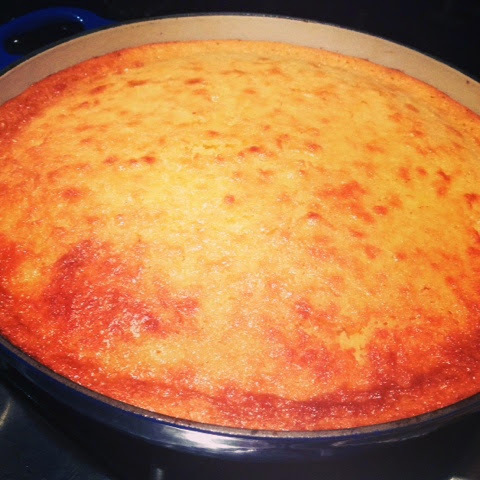 Let corn bread cool slightly before slicing and serving.